Long gone are the days of our dogs sleeping out in the yard, protected by a kennel that dad knocked together in his first woodworking attempt since high school. Dogs sleep just about as well as we do, right down to their furniture & accessories. Outback Tails is a brand that has caught my eye recently. With so much minimalism in modern design (we’re the first to be guilty of it), it’s refreshing to see their colourful, positive and indigenous designs provide another option. 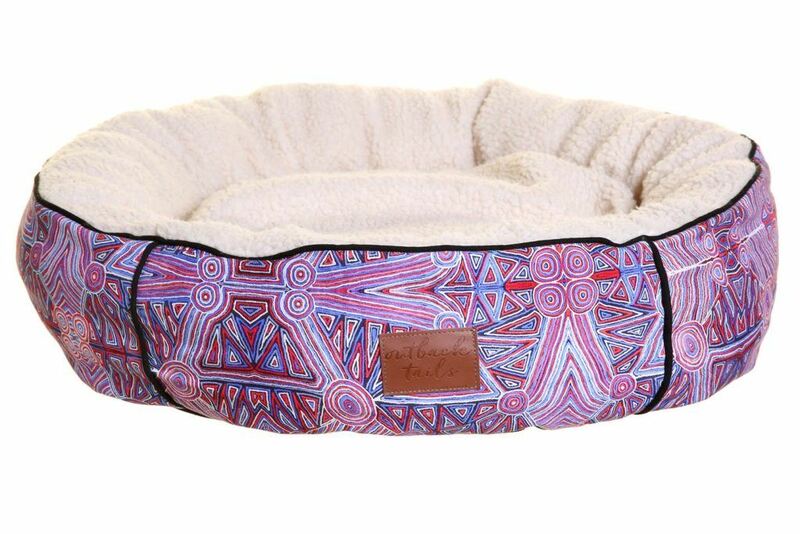 Their design philosophy has expanded to a line of dog beds, coats, toys, bowls, collars & leads, all designed by talented indigenous artists Pauline Napangardi Gallagher and Ursula Napangardi Hudson of the Warlukurlangu Aboriginal Artist Corporation. 10% of all sale proceeds go back to the Central Desert corporation. This ensures that artists continue to benefit from the growth of the young brand. 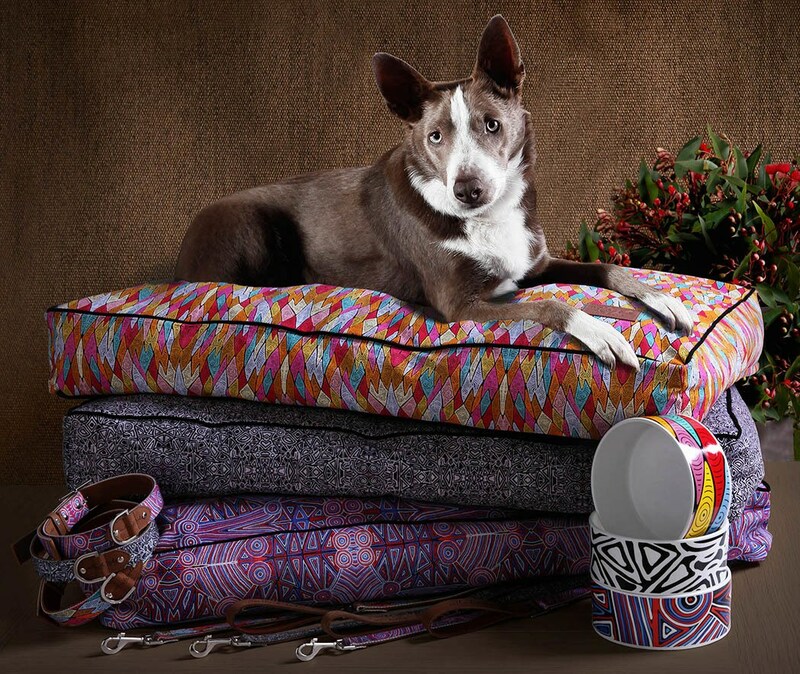 Outback Tails dog beds have a removable cover that is easy to wash. All orders over $50 ship free around Australia. 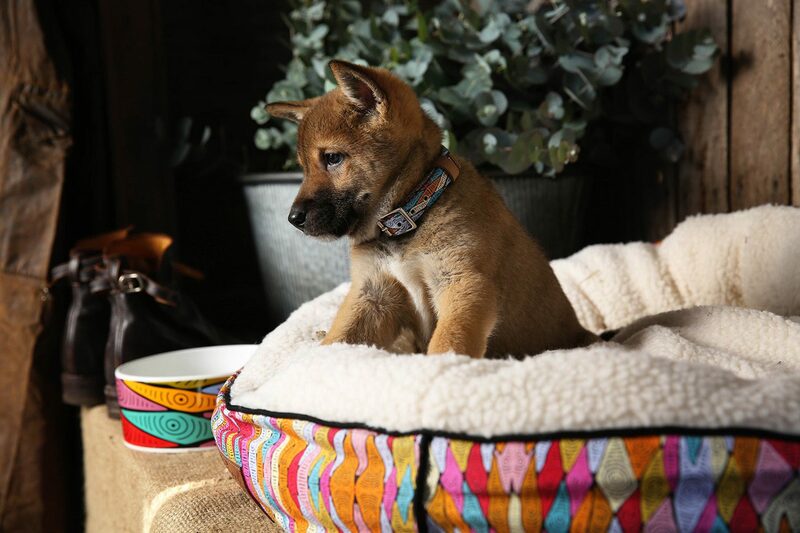 Collars are made from natural leather as well, so quality doesn’t just stop at the designs. 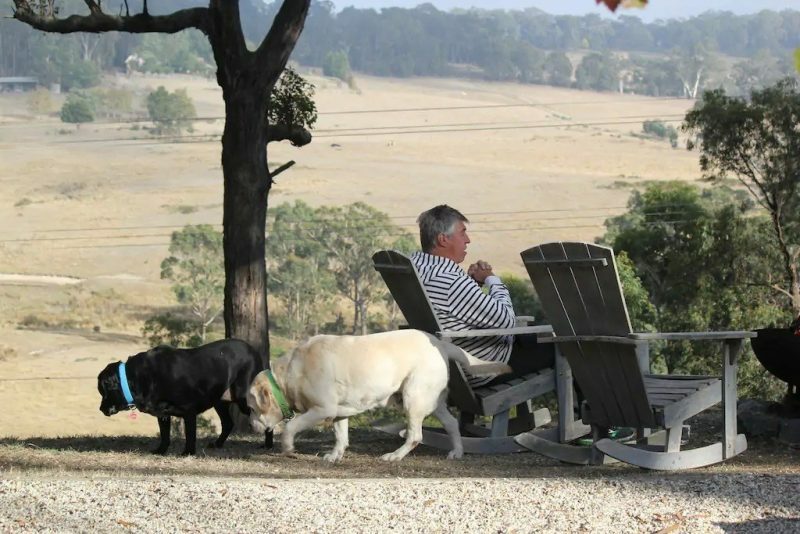 For more information, please visit www.outbacktails.com or look at other dog products we have reviewed.